Buying breast milk online: You can, but should you? You can buy breast milk through a website, but is it safe? Doc Smitty's thoughts. Advocating for breastfeeding is a big part of a pediatrician’s job in the first few months of life. We state the benefits of breastfeeding. We encourage families who are struggling and provide help with troubleshooting issues. We point them towards lactation consultants and other resources that can help when things are not going well. Does all the conversation about breastfeeding pressure moms to seek out breast milk from other sources when they choose not to breastfeed or when breastfeeding does not work for them? Breast milk donation can be used to provide much needed breast milk to premature babies. Many of these babies would otherwise not receive breast milk. This provides an amazing service to a vulnerable population. I strongly encourage moms who are interested and have extra breast milk to look into donating their milk to one of these organizations. There are other means of exchanging breast milk that I am not as excited about. Families can buy and sell breast milk online via websites that link buyers and sellers (often called “communities” or “societies”). But, is this method of obtaining breast milk safe? A recent study showed that out of 102 samples of breast milk bought online, 10 of those samples contained more than 10 percent cow’s milk. This shows that at least some sellers are mixing cow’s milk with their breast milk, most likely to increase volume and income from their breast milk sale. It is dangerous because previous studies have shown that 20 percent of online breast milk buyers are buying milk because of a medical condition in their child - many of those are listed as formula intolerance. 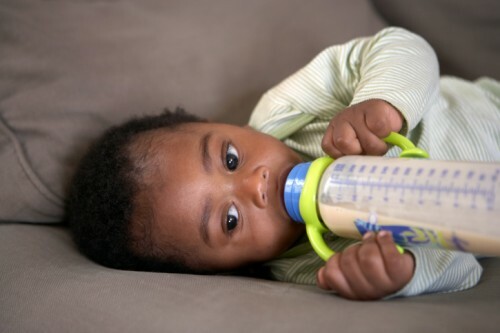 Introduction of cow’s milk into the breast milk increases the odds that these children could have a reaction or problem with the purchased milk especially if they have a true allergy to cow’s milk. While this risk is not insignificant, I feel the danger is much greater. I believe that the real danger lies more in the motivation of the sellers. If they are willing to actively deceive buyers by adding cow’s milk, what else are they willing to lie about in order to find a buyer for their milk? Anyone ever thought of why we do not pay blood donors or allow for payment for organ donation? The motivations matter. Safe storage of breast milk is not as simple as just throwing it into the freezer. Transportation of sold milk also creates another potential source for unsafe storage. The same group of researchers showed in a previous study that 74 percent of the milk they bought online contained enough bacteria to question their safety for infants. Many of the sellers’ listings make a point to say that the milk is free of substances or that the donor did not engage in risky behavior. In fact, sellers who made such claims (in addition to claims for clean handling and infectious disease screening) were 6 times more likely to sell their milk than those who did not make those claims. Does this encourage honesty? You would hope that donors would be honest about their infectious disease history because many diseases can be transmitted via breast milk. Also, there are some transmitted diseases that the donor may not be aware of at the time they pumped the milk. Of course, I advocate for breastfeeding for moms who can. But, let’s be real. Formulas have come a long way since the days where it was practically evaporated milk. So, let’s be realistic about the lengths we will go to in order to provide our child breast milk. 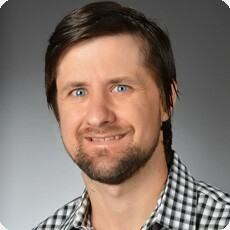 Justin Smith, M.D., is a Cook Children's pediatrician in Lewisville . View more from The Doc Smitty at his Facebook page.He attended University of Texas, Southwestern Medical School and did his pediatric training at Baylor College of Medicine. He joins Cook Children's after practicing in his hometown of Abilene for four years. He has a particular interest in development, behavior and care for children struggling with obesity. In his spare time, he enjoys playing with his 3 young children, exercising, reading and writing about parenting and pediatric health issues. I totally agree with this. Red lights go off at the thought of feeding my baby anything that is not properly sold in a store. Unless its my own breastmilk. Very scary.